The lovely people of the European Space Agency (ESA) and the Norwegian Space Centre (NOSA or Norsk Romsenter) have invited me to Tromsø in the Arctic Circle to learn more about the aurora and go on nightly expeditions to see the northern lights. I feel very privileged and fortunate. I’m joining 29 others from around the world who ESA have termed the Aurora Hunters. Here’s an ESA video of the view from the International Space Station. Of course I’d love to see the aurora from there, but you do have to pay your travel costs to go on this expedition, and that probably makes it prohibitive. I have been to Iceland aurora hunting before, but only caught the faintest glimpse, but then was woken on a translatlantic flight (always book the polar-facing window seat) for a dancing green light show, but I’m sure that’s as nothing compared with what awaits in a couple of weeks. The idea of the expedition is to learn more and then spread the wonder, beauty and understanding of this glorious natural light show wider. I couldn’t help think of Philip Pullman’s first book in the His Dark Materials series which was called Northern Lights in the UK before being rebranded The Golden Compass for the American market and then the movie. Lord Asriel and ultimately Lyra discover that the aurora is a bridge to other parallel worlds, and then bravely venture across. Of course Lyra is helped by an armoured bear – I’ll have to check before I head off whether I’m likely to encounter any polar bears too (with or without extra protection forged from meteorite iron). On a more serious scientific front, the aurora is an indication of Earth’s magnetic field protecting us from the bombardment of solar storms, funnelling charged particles towards both poles (in the southern hemisphere they’re known as the aurora Australis). The colour is an indication of the chemicals involved with the most common green colouring (visible in the banner on this website) indicative of mainly oxygen. The Sun which lives for billions of years has a heartbeat of 11 years, during which sunspot activity waxes and wanes. Sunspot activity correlates with aurora, and we’re coming towards the end of the latest recorded maxima (the 25th) meaning there should still be a decent chance of seeing this wonder of the natural world in amazing circumstances. I’ll post more about it, especially on Twitter, but if you want to know more Stuart Clark’s excellent book The Sun Kings is a terrific read. Curiously, after yesterday’s events in Florida, a message seemingly from the far future slipped through a wormhole in the space-time continuum and just happened to appear in the ether here at Mansfield Towers. Other than trying to convert it into present-day English, I have left it untouched. Five years ago we reached our new home. Proxima Centauri and the worlds around this dwarf star is the first permanent outpost for humanity beyond the Sol system. The journey was long and hard. The loss of Tomasz and Antigone hurt us almost more than we could bear, but here we are celebrating this small milestone. We are 50,000 new minds, many organic, some not, in a new star system. While we await the return signal from our home planet of Mars, we have been busy. This magical system has been extensively explored and the Dyson sphere nearly completed to power this staging post from which we expect to soon be able to take another step even further out. While there are many wonders, as expected (though we still hoped otherwise), there was no life here, just as none was to be found on any of the worlds (large and small) of the Sol system. This reinforces us, strengthens our determination, to spread the wonder that life brings, whether organic, machine-based or some mixture of the two, throughout our Galaxy and beyond. Each step we take teaches us more about how precious life and intelligence are. It is worth noting that this voyage of exploration and discovery, the way we are now wading out into the waters of the cosmic ocean, would not have been possible without an event that happened 250 years ago today, according to the Standard Calendar. And it occurred not on our homeworld, but on (and above) Earth, the original cradle of humanity – before runaway climate change and the subsequent nuclear conflicts made the third planet uninhabitable. Many think of Elon Musk as the original First Citizen of Mars, and it is true that he was pivotal in engineering the systems later humans and AIs came to rely on, but Musk originated on Earth when it was still viable and, in fact, at a time before humanity had begun to spread across the system. It is hard to believe now, but although humans had visited Earth’s satellite, Luna, almost 50 standard years before, they had not returned and the few rockets they launched were only ever used once, incredibly being left to fall back to the planet to be destroyed after completing their initial mission. I am grateful to the AI, No Compromise, No Surrender, for discovering some incredible footage of a youthful pre-Neuralinked Musk. It is captioned “CEO & Lead Designer, SpaceX”, roughly analogous, I believe, to First Worker. Until this time the cost of reaching space from such a deep gravity well was almost prohibitive, making it the province of nation states (Earth never achieved a planetary-wide government) rather than corporations or individuals. But then Musk founded the cooperative called SpaceX, which succeeded against incredible odds to build the initial colonial fleet that reached Mars in 2036. But those early Mars voyages were long after the fifteen-year struggle to create reusable orbital rockets that would eventually reduce the cost of access to space to a fraction of what it had been before. So it was that on March 30th, 2017, the very first used orbital class rocket (called a Falcon 9 because of its 9 primitive chemical engines) successfully relaunched, carrying with it a communications satellite destined for geostationary orbit, before landing on a floating platform named Of Course I Still Love You which had been positioned in one of Earth’s oceans. While the very idea of chemical rockets has long since been consigned to history, the name of the platform brings a smile to my face. Just as we organic humans have tried to build a Culture-style civilization in collaboration with the mighty AI Minds of our ships and cities, the literature of the great Iain Banks inspired Musk and his followers in the distant past. The mission on that fateful day, apparently named SES10 after the satellite launched, would pave the way for a transformation of human fortunes. For a Standard Calendar century, Earthlings had flown around their planet in vessels that were seemingly reused thousands of times, without being discarded. Yet they were so very slow to attempt this same principle to go beyond the planet. Only when SpaceX made reusable rockets the norm, could the Mars colonization project eventually be realized. It was not long before turnaround times dropped to a Standard Calendar day people switched to preferring launches on flight-proven rockets rather than than untried new builds. In this era of mighty fusion engines powering hollowed out asteroids to the stars at relativistic speeds, controlled by Minds that are far beyond human comprehension (albeit in welcome cooperation), it would be a mistake to belittle the achievements of a small group of engineers who created a chemical rocket that would fly reliably multiple times. Without them, our ancestors would not have left Earth in time. Without them, life would not now be spreading through the cosmos. The recovered footage is only a two-dimensional low-resolution projection, but all of us should take a moment to witness it and remember the pioneers who have made this wonderful future possible. We owe them a great deal. First Citizen Michelle (human) out. Today, 6th October, is apparently National Poetry Day in the UK. When young and a keen writer, of course I penned poetry, but I was also a poetic soul. So it was that when I graduated from university I embarked upon a wonderful railway journey for a month across Europe, before arriving at Istanbul in Turkey. And then I spent another month, hitchhiking around Turkey, going far east into Kurdistan but also seeking out some of the great cities of the ancient world. My tribute to the romantic world of the ancients and a time when men consorted with gods. connect me to my previous post about Elon Musk’s plan to colonize Mars, wondering if that will be an epic journey I may make in my lifetime. And if I do I imagine it will be the last great journey (though how I want to visit Saturn too!). To test myself and the power of memory, I just recorded the poem. I hope you enjoy this national poety day treat. Click the link at the top of the post or listen to it here. Seven years later, on 15 December 2016 just after 11am GMT, Tim will sit atop a 50m Russian Soyuz FG rocket containing 300 tonnes of kerosene and liquid oxygen. In an incredible rush, he will go from zero to almost 29,000 km per hour, before he can enjoy the tranquility of six months’ zero gravity in low Earth orbit. Not long after he’d been announced I remember Tim doing a Q&A from the UK Space Centre in Leicester. My question consisted of only two words: “swap jobs?” He laughed but politely declined. If the chance came tomorrow to sneak into the capsule in his place, I’d be there in a nanosecond. The mission is called Principia, named after Isaac Newton’s book that helped define the discipline of mathematical physics which I studied at Newton’s very own Trinity College, Cambridge. There is no more appropriate moniker for this British foray into space. Reaching low Earth orbit requires a mathematical understanding of gravity and Newton’s Principia laid those foundations, realizing that an apple falls to the Earth for the same reason that the Moon (and the ISS) orbit around it. Every space voyage has a mission patch and here’s Principia’s. Hoping and expecting everything to go according to plan, Tim will reach the International Space Station around 19.00 GMT and this will be live on TV and the web. If I could be even more envious (in the nicest possible way) it’s because he’s not going for a short stay. The mission is scheduled to last a whopping six months. While up there, one thing that Tim is extremely keen to do is to perform a spacewalk or EVA (extravehicular activity). The International Space Station is pretty big. You’ll know this if you’ve ever looked for it in the night sky as it passes overhead (there are great apps that tell you when it’s going to be visible from your location and it’s well worth the watch). In fact the station is a little larger than a football pitch (both British and American). If Tim’s lucky enough to journey outside the ISS he’s effectively in his own miniature spaceship, sculpted to fit a human body. It’s as close as you can get to being alone in the cosmos (unless you wanted to try it without wearing a spacesuit, although that’s not quite as bad as you might think and is described accurately in the Johnny Mackintosh books). To try the suited version yourself, here’s a spacewalk simulation game from NASA. Speaking of Johnny Mackintosh, while cloaked he flies past the International Space Station at the beginning of the second book, Star Blaze. Three hundred and forty kilometres above Earth, they passed the space station windows so close that they could see the astronauts inside. It would be funny to imagine one of those astronauts was Britain’s own Major Tim Peake. To commemorate the Principia Mission, the UK Space Agency has produced a special issue of their magazine (link opens as a pdf). My plan for 2016 is to blog rather more (not difficult), including my thoughts on how to speed up humanity’s transition into becoming a space-faring species. Tim Peake’s flight is another small step along this giant interstellar highway to a potentially golden future for our species. 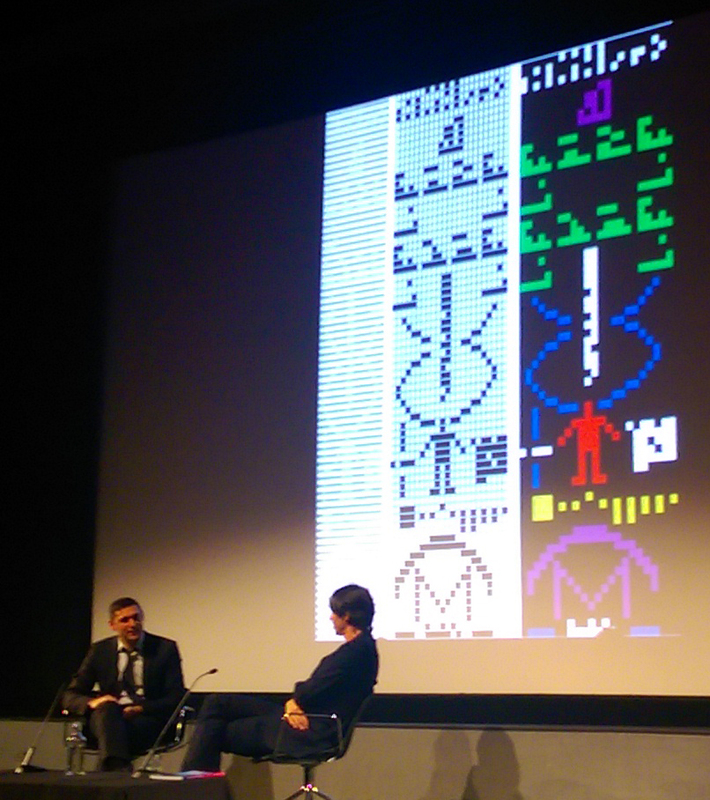 As part of their brilliant science fiction season, last night BFI Southbank saw a special screening of Contact, a movie based on the novel by SETI pioneer, Carl Sagan. It’s not a short film, but no one in the packed audience minded that the Q&A preceding it, with Professor Brian Cox and Dr Adam Rutherford, took over an hour. Huge credit to my former employers, the British Film Institute, for not making it token, but giving us the chance for a meaty discussion on what many think is the most important question facing science: where is everybody? This was the question posed to colleagues over lunch one day (in 1950) by physicist Enrico Fermi. It has become known as the “Fermi paradox”. The “everybody” in question are aliens … extraterrestrials. Many people think the fundamental moment in the history of Western science was when Copernicus said Earth orbited the Sun rather than the other way around. This wasn’t simply a convenient coordinate shift. It was saying Earth is not the centre of the Universe. We inhabit just one of many planets. We have no privileged position in the cosmos. We are ordinary. The same “laws of nature” that apply on and around Earth apply equally in the rest of the Universe. This has become known as the “Copernican principle” and it is the foundation of scientific thought. We have a problem. 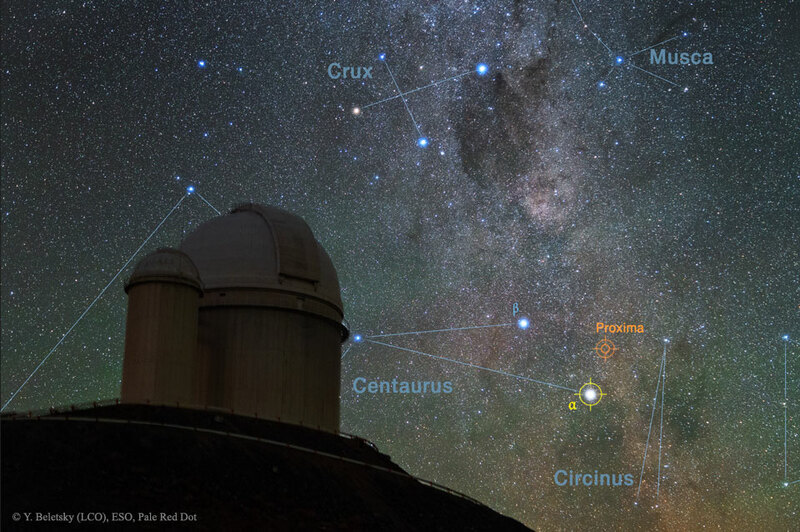 Look out at night – look further through our telescopes (and we can look so very far) and the Universe is vast. There are hundreds of billions of galaxies, like our own Milky Way. Just within ours, there are maybe 400 billion stars, most with planets. Conservative estimates, as Brian Cox told the audience (these are based on Kepler findings) hold that one in ten stars will have habitable planets in orbits that allow liquid water on their surface. Further, at 4.5 billion years, Earth and our solar system are relatively young. The Milky War is far, far older. inally, mathematical models show it’s perfectly possible to colonize the entire galaxy in a brief time – say, 10 million years. Yet when we look skywards, we see not the slightest evidence if any intelligence in the entire Universe, other than what we find here on Earth. This suggests we are very special indeed – the polar opposite to the fundamental principle of science. Sagan pondered this question long and hard. In his early, pioneering days of SETI, they were actively trying to communicate with extraterrestrials and before the movie, Cox and Rutherford were sitting in front of a radio message intentionally broadcast to the stars. Sagan also helped designed messages added to the Voyager deep space probes (Voyager 1 is now over 18 light hours away, carrying a gold record with sounds of Earth and a map of how to find its inhabitants). Since those heady days, we think more about “existential risk” – things that potentially threated our survival as a species. One such risk is contact with alien races, so we’ve become more circumspect. 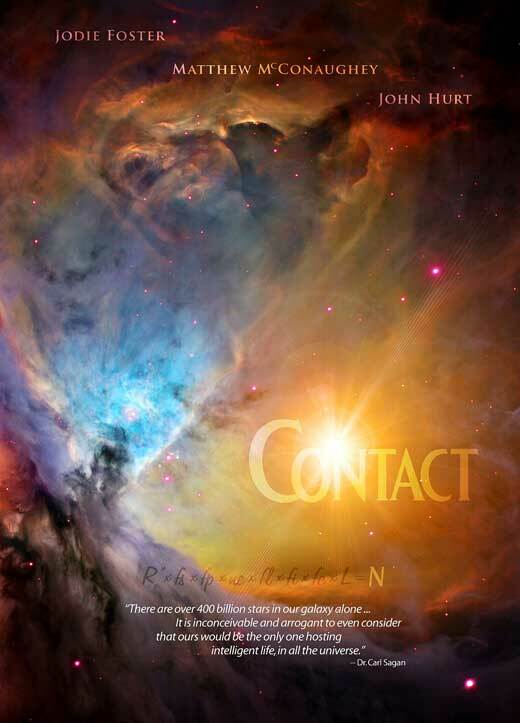 Looking back, I think the novel, Contact, was important for me as both a writer and publisher. I loved the story. It combined so many elements that I’m passionate about and, foolishly at the time I thought I could have told it better! Of course that’s not true, but I would nowadays have been a good editor for Sagan, had he let me. It certainly made me realize I was capable of being a good storyteller, and my current work-in-progress is a novel that revisits this same territory. I find it unfathomable now that I asked Sagan to sign my copy of Cosmos, which he kindly did, but not my copy of Contact – what was I thinking? The film’s good, but there’s so much more in the book that anyone who likes the movie would get a lot from reading the novel. It was commented that Contact is a little overlooked as a science fiction film. Very true, but with my screenwriting hat on I think that’s because there’s so much to cram in, the narrative is very linear and straightforward. And Sagan’s thoughtful climax may have been unsatistfactory for mainstream audiences used to a different style of alien encounter. In the movie, scientist Ellie Arroway (played by Jodie Foster and the character Cox and Rutherford said was the best depiction of a scientist on screen) detects a message from aliens, using radio telescopes. This was how Sagan and fellow SETI pioneer Frank Drake expected our first contact with extraterrestrials would go, and the film describes how things might unfold after receipt – the message is written in mathematics, the only universal language. There’s still an old-school SETI community working in this area, but increasingly scientists are thinking of alternative ways to identify evidence of aliens, often in the form of (very) large scale engineering projects such as Dyson spheres or matter-antimatter burners. We’re still looking. It’s part of the BFI’s excellent Sci-Fi: Days of Fear and Wonder season.